January of 1979 saw the immediate departure of one of Mid-Atlantic Championship Wrestling’s most beloved stars. Blackjack Mulligan, who had endured nine months of Bounty Matches at the hands of Ric Flair and his surrogates, left the Mid-Atlantic area during the first week in January. Mulligan lost a brutal “Lights Out—Not Sanctioned By the NWA” match to his arch enemy, big John Studd, at the Richmond Coliseum in Richmond, Virginia on January 5th. In the coming months, Studd would claim this match was where he collected Flair’s $10,000 bounty as it was Blackjack’s last match in the territory. Mulligan would dispute this, saying Studd didn’t run him out of the area and that he was just taking some time away from wrestling, including visiting Willie Nelson in the Colorado Rockies! Prior to the Richmond “Lights Out” bout on January 5th, Mulligan dropped another match to Studd in Fayetteville, North Carolina on New Year’s Day. On January 2nd at the Township Auditorium in Columbia, South Carolina, Ken Patera pinned Mulligan to retain his Mid-Atlantic Heavyweight Championship belt. Mulligan’s losing streak continued as he dropped a heated battle with Ric Flair on January 4th in Fisherville, Virginia. As Blackjack was leaving the area, a familiar face took his place on the “good guy” side. Canadian Champion Dino Bravo came back into the Mid-Atlantic area, after having been absent from the territory for approximately a year and a half. Dino was greeted back to the territory by announcer Bob Caudle, on the Mid-Atlantic Championship Wrestling television show that was taped from the WRAL TV studios on January 10th. Dino told the fans that he was the proud holder of the Canadian Heavyweight Title, having defeated former NWA World Heavyweight Champion Gene Kiniski for that honor. Bravo made his return to the area’s arenas in an exciting match against Greg Valentine, defeating the “Hammer” in Palmyra, Virginia on January 11th. In fact, Bravo was undefeated in the month of January, looking sharp and extremely impressive in the process. In addition to his first match back in the area against Valentine in Palmyra, Dino also defeated Greg at the Township Auditorium in Columbia on January 16th, at the Richmond Coliseum on January 19th and at the Charlotte Coliseum in Charlotte, North Carolina on January 28th. Bravo also had an interesting match in Toronto, Canada during the month. Jim Crockett Promotions was now sending its talent into Canada, and it was making for some very interesting cards! On January 14th in the Maple Leaf Gardens, Bravo battled Nick Bockwinkel for Nick’s AWA Heavyweight Title. Dino controlled the action in that bout, but Bockwinkel retained his belt by throwing Bravo over the top rope, resulting in a disqualification. This blockbuster card in Toronto was supposed to have Harley Race defending his NWA World’s Heavyweight Title against U.S. Champion Ricky Steamboat, but Race had flight problems in Chicago and couldn’t get into Toronto. Steamboat agreed to defend his United States Heavyweight Championship instead, and allowed both halves of the Mid-Atlantic Tag Team Champions, Ken Patera and John Studd, to flip a coin and the winner would face Ricky for the U.S. belt. Studd won the flip of the coin, but was summarily dispatched by Steamboat! Patera and Studd did join forces earlier in the card to defeat the tandem of Tony Atlas and Jay Youngblood. On the Mid-Atlantic Championship Wrestling television show that was taped at the WRAL TV studios on January 3rd, Ricky Steamboat was announced to the viewing audience as the new United States Heavyweight Champion. Ricky had a very active month in January, defending his recently won Title many times. Ricky’s primary challengers were his former tag team partner, Paul Jones, and the man he defeated for the Championship at the end of December, “Nature Boy” Ric Flair. Since Paul Jones was the NWA Television Champion, the U.S. Title bouts that Steamboat and Jones wrestled during the month of January not only had Ricky’s U.S. Title at stake, but also Jones’ NWA Television Championship was at risk for the first fifteen minutes of the match! This led to interesting results in a number of these matches, where Steamboat would defeat Jones and retain his U.S. belt, but it taking longer than fifteen minutes to secure the win, thus allowing Jones to still emerge with his TV Title intact throughout the month. Steamboat came out on top of Jones in U.S. Title bouts by disqualification in Raleigh, North Carolina on January 9th, by pinfall after the fifteen minute mark had expired in Roanoke, Virginia on January 20th, again by pinfall after the fifteen minute mark had passed in a No Disqualification bout in Norfolk, Virginia on January 25th and on January 28th in Greensboro, North Carolina when both Jones and Steamboat were disqualified for fighting outside of the ring. Ricky also had his hands plenty full defending the U.S. Title against Ric Flair during the month of January. The Nature Boy was desperate to regain his prestigious belt, but Steamboat was up for the challenge. Ricky pinned Flair in Columbia on January 7th and again in Asheville, North Carolina on January 15th. The two came back the next night for a Columbia rematch in a grueling 2 out of 3 falls Title bout, with Ricky prevailing after an exhausting contest. Closing out the month, Steamboat took the measure of Flair in a U.S. Title match in Richmond on January 19th, and also defeated the Nature Boy by disqualification in the Charlotte Coliseum on January 28th. Mid-Atlantic Heavyweight Champion Ken Patera had several noteworthy battles over his Title belt during the month of January, particularly during the first week of the New Year! And it began in earnest on New Year’s Day, when Ken battled fellow strongman Tony Atlas to a rugged one hour draw in Fayetteville. After dispatching Blackjack Mulligan the next night in Columbia, Ken had a bitter battle over the Mid-Atlantic Heavyweight Championship against Johnny Weaver in Charleston, South Carolina on January 5th. These two apparently couldn’t get enough of each other, as they battled again two nights later in Charlotte, with Ken eking out a hard fought victory. Later in the month, Patera was taken to the limit by “Superfly” Jimmy Snuka in their Mid-Atlantic Title bout in Anderson, South Carolina. In this wild encounter, Ken retained his belt when he and Snuka battled uncontrollably outside the ring, leading to both combatants being disqualified. Patera rounded out his month by having an equally wild title bout with familiar foe Tony Atlas in Charlotte. In this bruising battle, Ken was disqualified, enabling him to retain his Mid-Atlantic Championship Title throughout the month. In addition to holding onto his Mid-Atlantic Heavyweight Championship belt during January, Patera was also teaming with his partner, big John Studd, periodically during the month. This imposing duo successfully defended their Mid-Atlantic Tag Team Titles during the month, and also found time to challenge for the World Tag Team Championship in January! On January 12th at the Lynchburg Armory in Lynchburg, Virginia, Studd and Patera maintained hold of their Titles despite stiff opposition from challengers Tony Atlas and Skip Young. Patera and Studd received three shots at World Tag Team Champions Paul Orndorff and Jimmy Sunka in January, and all three were barnburners! Both teams were disqualified during an all out war in Fayetteville on January 15th. After an equally bitter title encounter at County Hall in Charleston on January 19th, the two teams returned to the Palmetto state on January 23rd. In Columbia’s Township Auditorium Snuka and Orndorff won a very exciting bout, where the final result was in doubt until the very end. In addition to the battles with Ken Patera and John Studd, NWA World Tag Team Champions Paul Orndorff and Jimmy Snuka had a magnificent series of Title bouts with the vicious team of Ric Flair and Greg Valentine during the month of January. With Baron Von Raschke suspended by the NWA for the entire month of January, due to the Baron’s actions when he and Greg lost the World Tag Team Titles to Snuka and Orndorff on December 26, 1978, Valentine hooked up with his former tag team partner Ric Flair in an attempt to recapture the World Tag Team Titles. To put it mildly, Snuka and Orndorff dominated Flair and Valentine in January, and in the process certainly established themselves as formidable World Tag Team Champions. During the month, Snuka and Orndorff defeated Flair and Valentine cleanly in Title matches in nearly every major town in the Mid-Atlantic area. These victories occurred in Richmond on January 5th, Charlotte on January 7th, Greenville, South Carolina on January 8th, Greensboro on January 13th and again on January 28th, Lynchburg on January 26th, Savannah, Georgia on January 27th and Columbia on January 30th. The only “blemish” for the Champions against Flair and Valentine was a double disqualification outcome at the Norfolk Scope Coliseum on January 25th. January of 1979 was the first full month where “Number One” Paul Jones wrestled exclusively on the “bad guy” side of the fence. And Jones’ actions never ceased to amaze the thousands of fans that had pulled for him for so many years. Taping his fingers up, and driving them into the throats of his unsuspecting opponents, became a staple for Paul during the month. In addition to Jones’ NWA TV Title versus U.S. Title bouts against Ricky Steamboat in January, Paul also had a number of successful NWA TV Title defenses in January against top challengers Tony Atlas and Paul Orndorff. Jones slipped by Atlas on January 19th in Richmond when Paul got purposely disqualified, and escaped with Atlas in Raleigh on January 23rd when Jones got counted out of the ring. Jones survived Orndorff on January 18th in Anderson when Orndorff pinned Jones, but after the fifteen minute mark. Jones came back with a stronger showing on January 28th in the Charlotte Coliseum, when he pinned Orndorff cleanly. 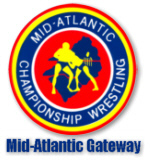 The end of the month saw a very interesting challenge take place on Mid-Atlantic Championship Wrestling television. After a build up of several weeks, Ric Flair agreed to pay Ricky Steamboat $10 for every pound Steamboat could bench press over 350 pounds. If Steamboat couldn’t bench press 350 pounds, Ricky agreed to pay Ric $10 for every pound under the 350 pound mark! On the Mid-Atlantic TV show that was taped in Raleigh on January 24th, the sides were drawn. Steamboat lifting, seconded by his friend Dino Bravo. Flair and his buddy, and weightlifting expert Ken Patera, were on hand hoping to see Steamboat come up short. Steamboat successfully bench pressed weights of 225, 275, 315, 365 and finally 415 pounds! The last lift required a disbelieving Flair to pay up to the tune of $650! As Bravo laughed at him, an enraged “Nature Boy” said he would pay his debt, but that he had a new challenge. Flair said he would pay out an additional $1,000 if anybody on the “good guy” side could lift 500 pounds! February would start off with this new challenge, and sparks would surely fly when fans around the area tuned into Mid-Atlantic Championship Wrestling on that first Saturday in February! 1. Jimmy Snuka & Paul Orndorff---The World Tag Team Champions proved their worth in January of 1979, summarily dispatching the “dream team” of Ric Flair and Greg Valentine. They also had little trouble with the dynamic duo of Mid-Atlantic Tag Team Champions Ken Patera and John Studd. Yes, indeed, Snuka and Orndorff were for real! 2. Dino Bravo---Bravo returned to the territory in January as the Canadian Heavyweight Champion, and had a perfect won-loss record during the month. Bravo’s second stint in the Mid-Atlantic area by all early reviews had the look of being a spectacular one. 3. Ricky Steamboat---Steamboat was impressive in defending his newly won U.S. Title during the month, both against former champion Ric Flair, and against former friend and partner Paul Jones. Ricky even excelled at weightlifting, embarrassing Flair in a weightlifting competition on TV at the end of the month. 1. Blackjack Mulligan---Mulligan only lasted a few days into January, dropping all of his matches, and was out of the Mid-Atlantic area before the end of the first week of the New Year. A brutal loss to big John Studd in a Lights Out Match sent the big man from Eagle Pass, Texas into a six month hiatus from competing in the Mid-Atlantic area. 2. Baron Von Raschke---The Baron remained on the roster in January, but was completely inactive, serving a suspension doled out by the NWA after he put the piledriver on referee Tommy Young after he and Greg Valentine lost the World Tag Team Titles on December 26, 1978. Valentine had a tough January with the Baron on the shelf, and one had to wonder what to expect from Raschke when he returned. 3. Ric Flair---The Nature Boy was frustrated in his attempts to win the U.S. Title back from Ricky Steamboat, and there was no magic left when he teamed back up with Greg Valentine in an attempt to recapture tag team glory. Flair was reduced to getting involved in a silly weightlifting challenge…which did nothing but embarrass him on television.